The BSI Womens Classic Black/Pink bowling shoes offer a classic look with some modern flare. This shoe is reasonably priced with all the basic bowling shoe amenities. They are comfortable and true to fit. The only downside is that they are foam soles and scuff easily. Great for recreational use. Daughter picked for the style and was happy with the fit and comfort level. There is not a way to post a picture here, but the sole is white microfiber and extends about halfway down the bottom of the shoe and the heel is white rubber. Good Question! We actually have warehouse all over the US. The shoe will be shipped from the warehouse that is closest to you. 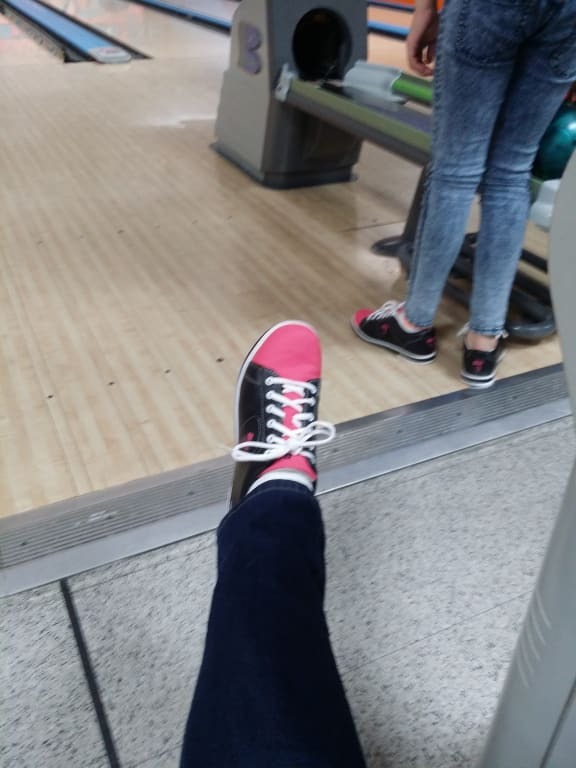 Bowling shoes normally run big, u wear a 7.5 shoes and in bowling shoes at the alley I wear a 7. Should I be ordering the same as my regular shoe size or as the size from the alleys? Hello Sherr. It will be different for each person. If you are not 100% sure on what size to purchase, we recommend purchasing the True Fit Guarantee with your shoes so you can exchange them without paying for the shipping. Hi! These shoes will be made out of Sport Leather Uppers. Usually the free ground shipping is 3-5 business days. Unfortunately, these will only come as universal soles. Due to the time it takes to produce the BSI Womens Classic Black/Pink ball it will ship in immediately. We cannot ship this ball outside the United States.